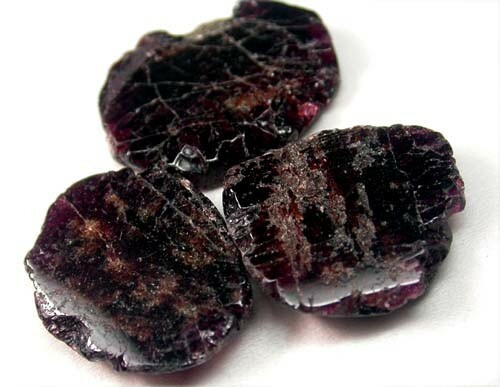 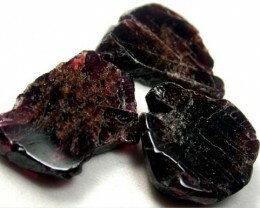 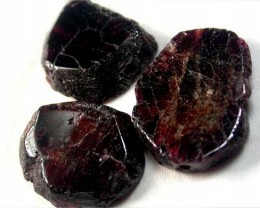 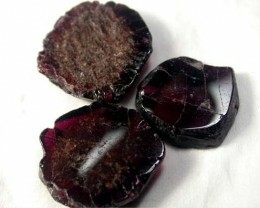 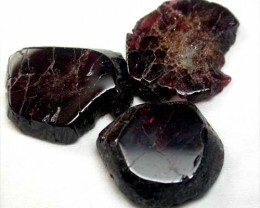 This is a parcel of 3 sliced red garnets showing iridescent colours.It has been well polished and the natural fractures add to its beauty.They are still strong beads. 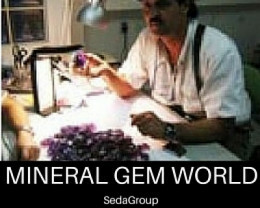 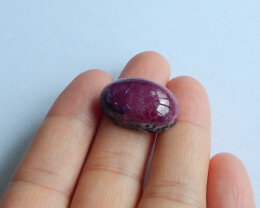 IDEAL FOR MIX AND MATCH WITH OTHERS STONES. 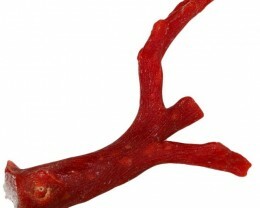 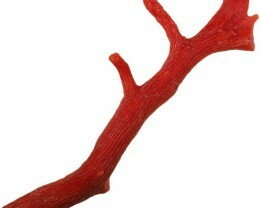 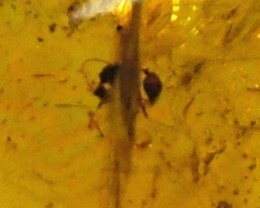 AS WITH ALL OUR STOCK YOU MAY RETURN IT FOR A FULL REFUND IF NOT PLEASED PROVIVED IT IS NOT TOUCHED IN ANY WAY.